KRIS Jenner is releasing her own cookbook. 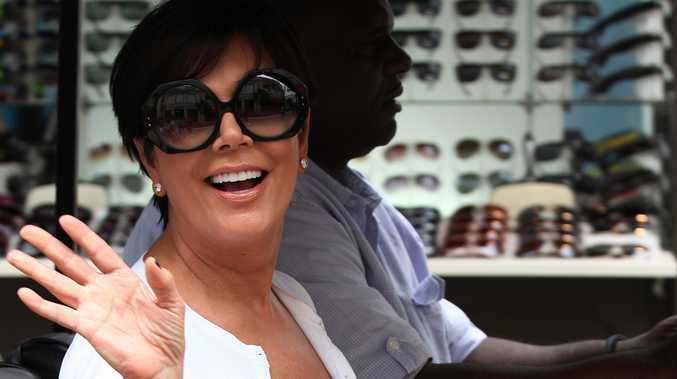 The 58-year-old matriarch has put together some of her best recipes and top tips for entertaining guests in her new book 'In The Kitchen With Kris: A Kollection of Kardashian-Jenner Family Favorites'. Speaking to E! News, the brunette beauty explained her reason behind the book: "I finally got so tired of sharing my recipes one-by-one with everybody that asked, that it just made sense to do a book and put it all together." The 'Keeping Up With the Kardashians' star may have kept her culinary skills underwraps until now, but she insists her grandchildren Mason, four, and Penelope, two, can't get enough of her tasty grilled sandwiches. She said: "I make a really mean grilled cheese sandwich so Mason and Penelope love my grilled cheese sandwiches." Kris - who has children Kourtney, 35, Kim, 33, Khloé, 30, Rob, 27, Kendall, 18, and Kylie, 16 - may have a natural ability to cook up delicious treats but she admits, despite her busy work schedule, she finds spending time in the kitchen also helps her to de-stress. She added: "[Cooking] is almost like the way that I calm down. Some people do things to relax, they'll go play golf or have a sport. Me? I'm in the kitchen. "Nothing makes me happier, so I hope I can share that with everybody else." 'In The Kitchen With Kris: A Kollection of Kardashian-Jenner Family Favorites' will be released in October.